Today we are going to tell you a very easy and cool trick by which you can read WhatsApp Message Without Knowing the Sender. So let’s see how you can read your whatsapp message without showing double blue ticks to the sender. WhatsApp is the best application to communicate with your friends, family, relatives etc. The application provides you many useful features, by which you can communicate even better and easier. The application provides major features like HD calling, sending files, Sharing Media files, Sending voice messages, and not only these but also it provides the feature by which a sender can easily know that his/her message has been successfully sent, and whether it is read by the receiver or not. The sender receives a blue tick if his/her message sent successfully, and when receiver read that message, that time the sender receive another blue tick to make him know that his message has been read by the receiver. When two people talk to each other on WhatsApp, that time a person would be anxiously waiting for the reply from another person but when that person doesn’t want to show him/her that he had read his/her message on WhatsApp. That time he thought about a way to read WhatsApp message without knowing the sender. If you are one of those people, then you will be happy to hear that you can easily read any message on WhatsApp without showing the double blue tick to the sender. 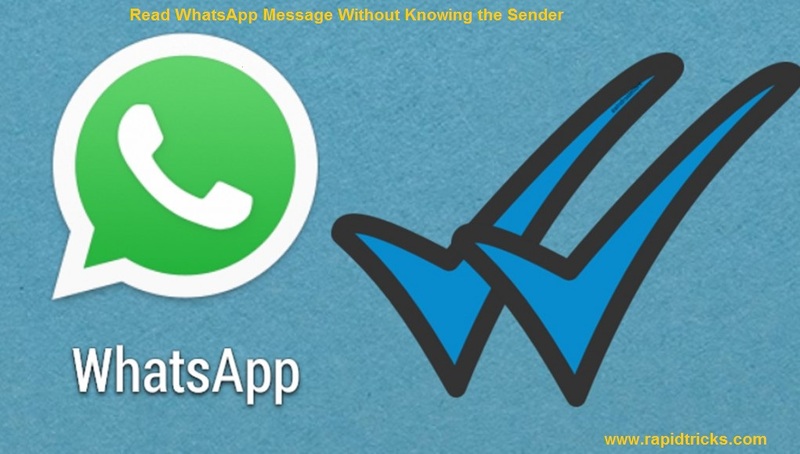 So let’s have a look on this cool and very easy trick to Read WhatsApp Message Without Knowing the Sender. When you receive a message from someone on WhatsApp and you want to read it without knowing the sender then you can do this as follows. When you receive a message don’t open WhatsApp. 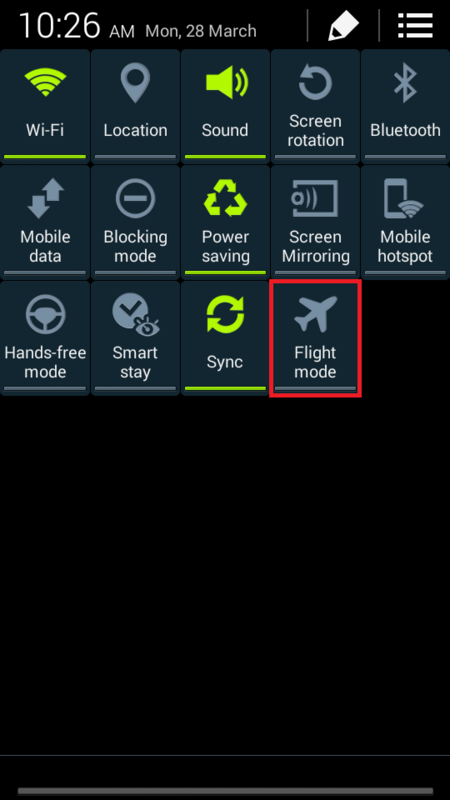 Just go to Phone’s Settings and Enable Flight Mode. Now go to WhatsApp and open your received message as many times as you want. The sender will not receive double blue tick until you disable the Flight mode. When you read the message completely, now you can disable flight mode again. So this is the simple and cool trick by which you can easily read any WhatsApp message without showing double blue ticks to the sender. The sender will not get blue ticks until you read his/her message in Normal mode. Is not it very easy to do? Yes, ofcourse it is very easy and simple trick to read WhatsApp message without knowing the sender. If you like the trick, then don’t forget to share it with your friends and tell them about this cool and easy trick. Stay connected with us for more cool tips&tricks, like us on Facebook and get regular tricks updates in the news feeds.